A Look back at 2011 and Easter Apps! Yes!! I have made it! I have posted at least once every weekday this week. Yeah yeah, I know the days shown on the blog is Sunday through Thursday. It was one day later for my side of the world anyway. So, the weekend is coming up, time to reflect on the week that was, the weekend that is to be, and the week that is coming. What are your plans? Need some ideas on what to do? Interestingly, it might also be a time to reflect on your mobile app advertising implementation strategy. Firstly, the Whip It! app download still grew further yesterday. I released it on SlideMe too. It hit over 600 downloads in total yesterday alone. That is more than 1k downloads in a couple of days. I guess I got in at the right time and place. ( Thanks Matej for telling me about the video :D , yes yes, you shoulda joined in too! ). Secondly, my re-implementation of the "More Games" button on my Volleyball game is paying off handsomely too, but somehow a similar approach on the Basketball game isn't working. Super duper weird! Looking back... over my shoulder! Now that you've enjoyed that, lets have a very important look at 2011. Yes I know, I know, it is mid-March already, shouldn't we be "looking back" sometime back in January? Well, the Millenial Media's Smart Report just came out on this, and it has a plethora of useful info. 9 categories had growth in triple digits. Health and Fitness is one to look out for, and Entertainment apps too do quite well (make a fart app!). Lead generation / registration was the 2nd leading goal for advertisers. All you Basic4Android folks, our only option for this (as of this writing) is Pontiflex (get the SDK). HTML5, you've gotta look out for this. Not only for ads, but also for app development in the very very near future, truly write once and run anywhere. Games, games, games!!! I really can't stress this point enough. You wanna make some dough? Make a game! Location awareness. This is the tough one. For all parties, allowing access to location detail will allow better ad servings. But users, they just don't like giving their location details. Be wary of this. There is more useful info, you can download this report from here. Easter is coming up, and folks, it might be a great idea to get them bunnies and eggs out soon! You see, if you can release an app anytime now, it will have gained some initial downloads, and you can try to promote your app via twitter and what ever methods that you use. 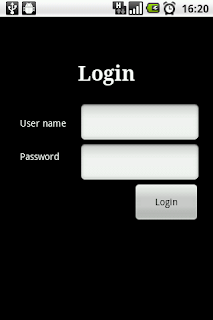 Then you also will have some time to optimise your app, its keyword filled title, its description and so on. And when Easter comes (as is with many seasonal periods), you should be getting a good boost in downloads. Keep it family oriented to get the ebst exposure. Now if you're planning to kill some easter bunnies, by all means, try that! If you havent done so, check Driod-blog.net. Especially his ASO tips, truly awesome stuff. Read it llike it is the bible of the Play Store! Hey, the really good stuff in life are free! Well, that's it from me for this week. Have a wonderful weekend, many thousands of downloads to you, much moolah to your bank accounts! PS - There have been news that Google is about to revamp it's search algorithm, it MIGHT affect the Play Store too. Keep a look out on this one!